St. Louis grandmaster Fabiano Caruana, right, fell to Norwegian grandmaster Magnus Carlsen in the World Chess Championships in November. Missed opportunities for both players could only be detected with the help of the world’s supercomputers. In one example, Fabiano missed a forced checkmate in 36 moves. In the end, for the first time in chess history, a World Chess Championship match ended with all games drawn! The play the moved into rapid chess tiebreaks, where both players had considerably less time, 30 minutes, for the entire game. On Nov. 29, Magnus decisively won the tiebreaks, 3-0, to retain the World Championship title, his fourth. It was at the headiest period of the match, the last few days, that media around the world really picked up the story of the chess championship. Rex Sinquefield and I were drafted on three successive days for live talk radio shows. While Caruana was dueling for the championship title and all the fame and honor that victory would bring to him and St. Louis, the Women’s World Chess Championship was underway in Russia. That event was a 64-player elimination match contest that came down to a fabulously competitive final between reigning world champion Ju Wenjun of China and Russian challenger Kateryna Lagno. That thrilling match was also decided in a rapid chess tiebreaks won, 3-1. 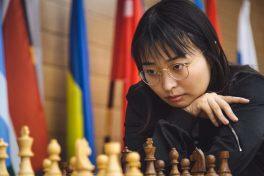 Grandmaster Ju Wenjun at the Women's World Chess Championship in November. Along with grandmaster Maurice Ashley and grandmaster Jennifer Shahade, I was in St. Louis to call all the action on “Today in Chess,” a show broadcast over the Internet from the studio at the St. Louis Chess Club. Thousands of fans from more 200 countries were giddy with excitement. It was on the third day of the radio shows, this one with Don Marsh and St. Louis Public Radio, when Marsh inadvertently hit one of my hot button topics: chess stereotypes. From the time I first started to play chess age 12, this issue has rather stuck in my craw. That phrase is used as a derogatory way of saying, “You were a nerd weren’t you?” This one has always had me kick back. Hard. Why? Because it simply not true. On St. Louis on the Air, toward the end, Marsh innocently passed along a complement to me, accusing me of being well-spoken and not at all what he had expected from a chess grandmaster. 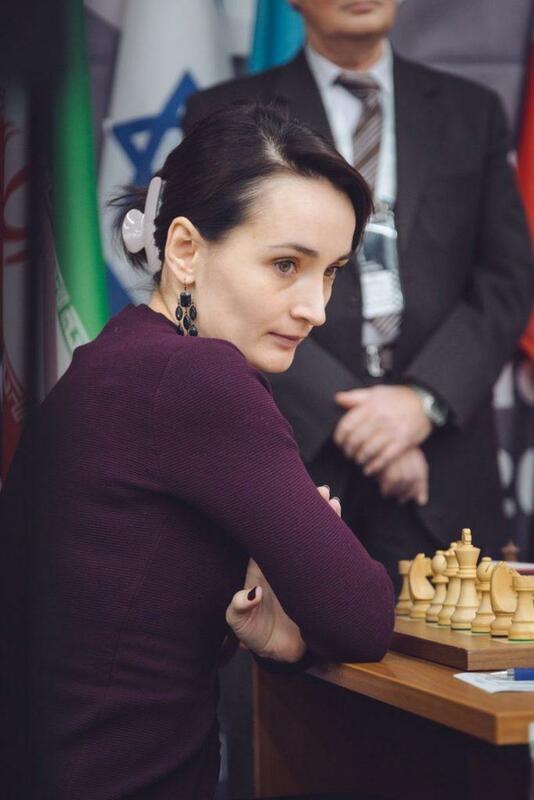 Grandmaster Kateryna Lagno at the Women's World Chess Championship in November. Because the show was obviously about Caruana, Carlsen and the world championships, I explained to him that both Caruana and Carlsen are wonderful young men: worldly, well-rounded, goodlooking, witty and nice. That would have been a good place to stop; however, now I was on a roll. Wishing to smite the chess stereotype once and for all, I let loose. I explained that Magnus is also a fashion model, having worked with G-Star Raw, a line of clothing, for over a year. Now came my grandmasterly blunder. Having just destroyed one stereotype about male chess players, I reinforced another by objectifying women. I explained that the recently completed Women’s World Championship also shattered the chess stereotype. I described the competition as being fantastic and the players as beautiful. Digging the grave further, my colleagues and I explained that players in the U.S. Women’s Championship, held at the St. Louis Chess Club each year, are beauty pageant caliber, as well as world class chess players. The blunders were coming in bunches. In trying to blast chess stereotypes, we were reinforcing even worse stereotypes. The immense irony of my blunder, of course, is that chess is the single most logic-based sport of all. Looks have nothing to do with the sport. It is only the merit of your moves that count. So, dear readers and listeners, allow me to sincerely and unabashedly apologize for my statements about women and chess. Throughout my whole career, I’ve tried to encourage women — in fact, everyone — to take up the game, to think hard, and to try their very best. It's good advice that I will be taking to heart as well. 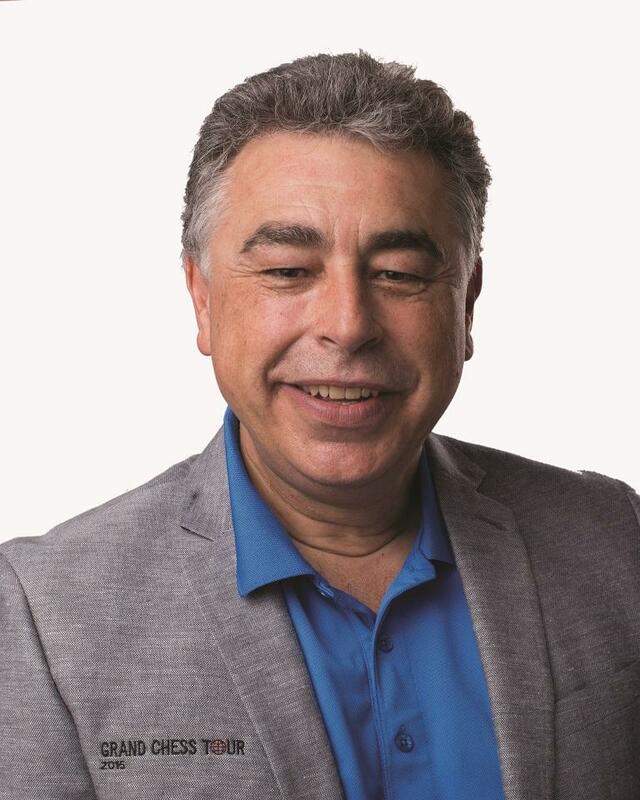 Yasser Seirawan is a chess grandmaster and multiple-time U.S. Champion. St. Louis has become the chess capital because of the types of opportunities it has presented people of all ages, races, and genders to learn, play and watch chess. It holds hundreds of tournaments each year and a new one will be coming next year. As a way to further the efforts to encourage and provide opportunities for women in chess, in 2019 the St. Louis Chess Club will be hosting the Cairns Cup, named after co-founder Jeanne Sinquefield (nee Cairns). The tournament will be the strongest female tournament ever held with the world’s top 10 players from around the world competing for $150,000 prize fund. Yasser Seirawan is a chess grandmaster and multiple-time U.S. Champion. He now serves as a regular grandmaster in residence at the St. Louis Chess Club, as well as a regular commentator on chess broadcasts. The American grandmaster, St. Louisan Fabiano Caruana, 26, had a splendid year. He started with winning the London Chess Classic in early December of 2017, and continued his great form into 2018. In January, he won the “Wimbledon of Chess,” the Tata Steel event, which featured none other than the reigning world champion, grandmaster Magnus Carlsen, 28. After these back-to-back tournament victories in December and January it was clear that game of chess found a worthy challenger for the championship title. The United States may soon be the home of the next World Chess Champion. Beginning Friday, Fabiano Caruana, born in Miami, raised in Brooklyn and living in St. Louis, will compete against reigning champion Magnus Carlsen, 27, of Norway, in a 12-game match in London. Fabi, as he is affectionately known, has the chance to become the first American-born player to win the title since the legendary Bobby Fischer, who, in 1972, defeated the Russian Boris Spassky in the most publicized chess match of all time.